I say this with absolutely no irony. After one Burlesque performance, my complete opinion on life has been altered and I feel like a new woman. 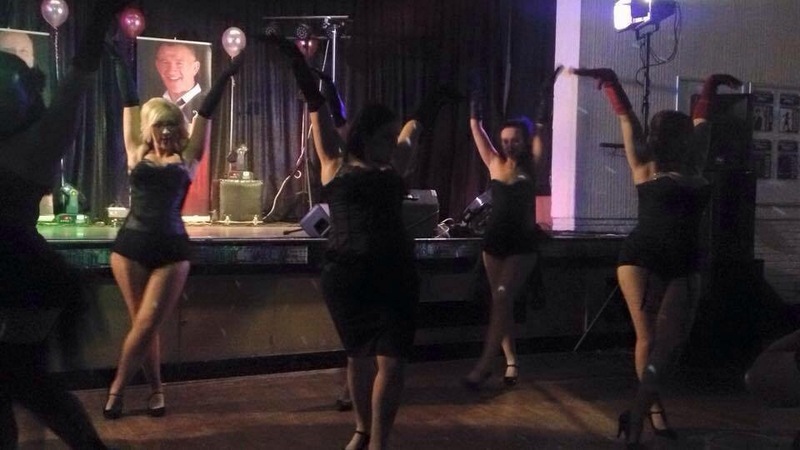 On Friday I took part in the Lady Burlesque Charity showcase, an evening in which 130 women all performed routines they had learnt in their weekly classes. The show took place in a nightclub in Nottingham. We had three hours to get ready. Hair styled, make-up caked on, corsets tightened and it took every spare second to make sure we looked perfectly polished. It’s very difficult to explain to any one who has never been on the stage, or who doesn’t like the spotlight, but I come alive when those lights are on me. I struck a pose in front of an audience of 300 people and I wasn’t boring old Stacey, soon-to-be-divorced mum of two anymore. I was glorious. I could feel myself sparkling. I hit every beat and if I did make a little mistake here and there, I shrugged it off as if I meant to do exactly that. I gave saucy looks, cheeky grins and even a little wink to one member of the audience. It felt amazing. Time for a drink and a quick change and then it was time to do it again – different costume, different routine. This time I stood centre stage. I never wanted it to end. After the show, I went out for dinner and drinks with a couple of my friends, the only two who had been able (or shown interest) in attending. They told me how impressed they were, that I was made for Burlesque dancing and that I should have my own show! (Hmmm – maybe moving a tad fast). We ate beautiful food, drank slightly too much wine, had lots of fun chats and got ever so slightly tipsy. After walking home with one of the girls, we had coffees and cookies and talked until the wee hours of the morning. I finally went to sleep with a very big grin on my face. The next morning, I groggily woke-up and got dressed to go home. I put on my new Burlesque hoody (a surprise gift from one of the very sweet girls I dance with) and drove home with my music blaring and my heart singing. And I realised something had changed. I had changed. Since then I have had the opportunities to perform in other shows, including our own “Reenie’s Rockettes” extravangaza in which I performed in 8 different numbers. Every time I am reminded of how it felt that very first show. That one night had taught me something very important. I am fabulous. That might sound big headed, but believe me, it’s just me accepting that I am special. The last couple of years have sent my confidence plummeting through the floor and it has been a long time since I could honestly say I was proud to be me. It’s been a long process, and I still have bad days full of doubt but for the most part I can honestly say, I am proud of myself. I am messy (I’ve mentioned this before). I can be dizzy and get distracted. I have a short temper, can be quite bitchy and sarcastic and am not always the most patient of people. But I am pretty damn amazing. I am loyal to the people I love, I am prepared to fight for what I believe in. (More so than I ever believed) I can be funny and witty and most of my friends seem to enjoy having me around. And every now and again, I just sparkle. I have no idea what my romantic future looks like. I don’t know if I will have another long-term partner, or if I’ll just be content being me, without ever tying my life to someone else. But if I do love again, then I want it to be on equal terms. Never again will anyone make me feel like I’m not worth the fight. No-one will stop me from sparkling. 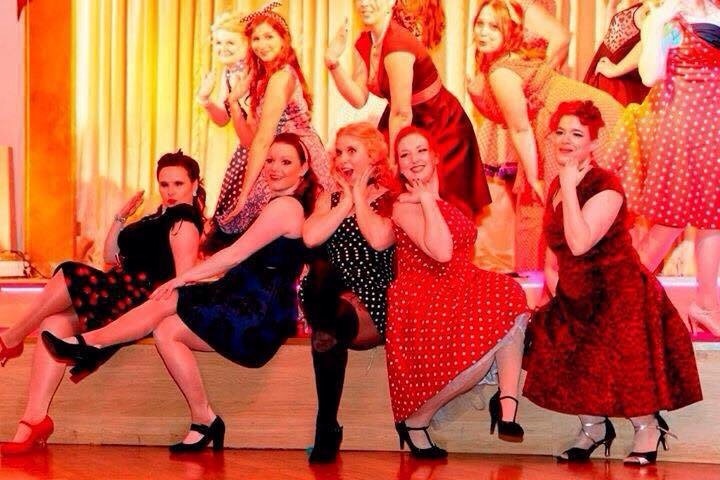 Burlesque did that for me – It made me sit up and realise that I have so much to give. I may not be perfect, but I’m perfect just the way I am. And if ever I start to forget that I will remember how it felt to step on that stage, like I was about to conquer the world. My dance teacher said it was nice to see us all falling in love with Burlesque. I am far more grateful that I fell in love with myself again. It’s been a long time coming, but I think I’m here to stay and I’m stronger than I’ve ever been. This entry was posted in Burlesque and tagged burlesque, courage, Hope, pride, self-esteem, self-worth.